Oh yum. I can’t say enough great things about this particular cleanse. 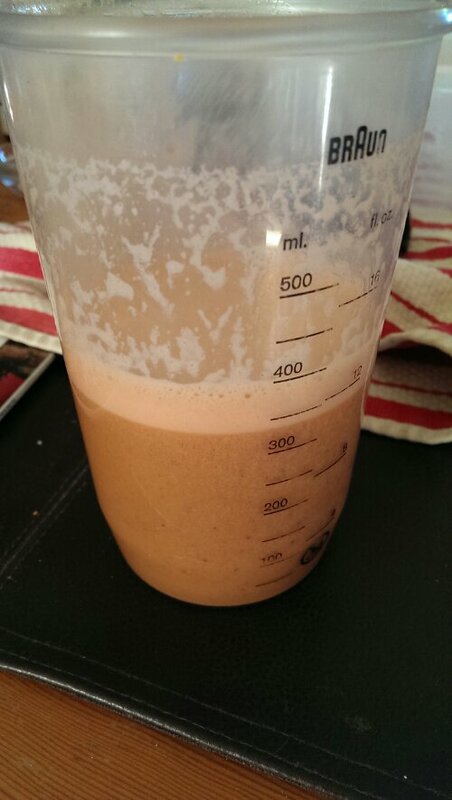 Getting a juicer certainly gave me alternatives to an otherwise bland regimen of daily shake recipes. I’m not into thick smoothies.. for some reason they are hard to swallow and too viscous. Thinned out, they just taste watery. This 16 oz drink was 1/2 juice and 1/2 water. After adding the shake powders and a tablespoon of chia seeds, the consistency is still nice. For me, this works. Maybe you may not have a juicer, but after a few years of dedicating myself to consistently detoxifying twice a year, it was a worthwhile investment. Tha added bonus, of course,is now I can juice exotic recipes that my local grocer doesn’t offer. If drinking, add 1 teaspoon of cinnamon to the drink and stir vigorously. Adding to an SP cleanse shake? 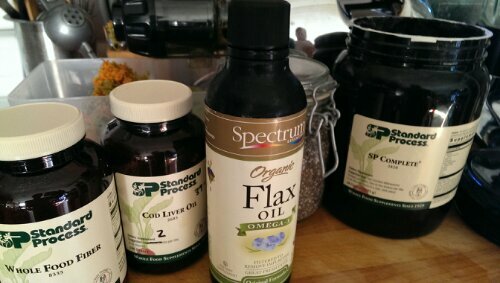 Add the prescribed servings of SP Complete, Whole food, oils and if needed, extra fiber or whey according to your health care practitioner’s recommendations. Add another 8 oz of water or coconut water and blend.